Maybe it's his tactical genius that makes him so unlucky. Thanks again to Jovan for an awesome podcast. Check out his amazing Fantasy Football sites and get in the game! Serie A: fantasyseriea.com, Bundesliga: fantasybundes.com, and Spanish La Liga fantasy-liga.com. Midweek games are challenging enough, but with the injury situation, morale low due to Slow Start Allegri™, and losing our singular star player to suspension, this trip is going to be no vacation. It seems like Milan are pretty short-handed, so I would like to suggest to Milan that they ask for a little help from their fans… on the pitch. Pioli is missing midfielder Krhin to injury, as well as a long term injury to his defender, Cherubin. More recently, though, on the weekend, he lost Natali and Kone to suspension. That match was home to Torino where they lost 2-1, and they were a bit unlucky. Natali was the gamechanger, first scoring the equalizer, then seeing his team down to 10 men having been sent off. Pioli fielded a starting 11 of Curci; Antonsson, Garics, Natali, Cech; Della Rocca, Diamanti, Pazienza, Kone; Bianchi, Moscardelli. 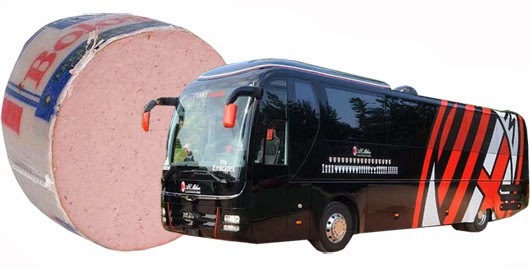 Despite losing a couple of key players, Bologna will want all 3 points at home to stay out of early relegation trouble, as they currently sit in 16th place. I am sure Pioli would love to take advantage of Milan’s current woes. Speaking of our woes, our available strikers are Robinho, who still seems to be struggling with fitness, Matri, who has yet to put a decent ball on goal for Milan and is a provincial player at best, and Niang, who is clearly talented, but is also young and has failed to score yet in Serie A. Otherwise known as a toothless attack. Perhaps we will be looking to our midfield and/or defense for our goals. For once Muntari might be a welcome sight in our starting lineups, seeing as how he has our best scoring form of available players. (did I just type that out loud?) Add the fact that Tagliavento is going to ref this one, and literally anything could happen. 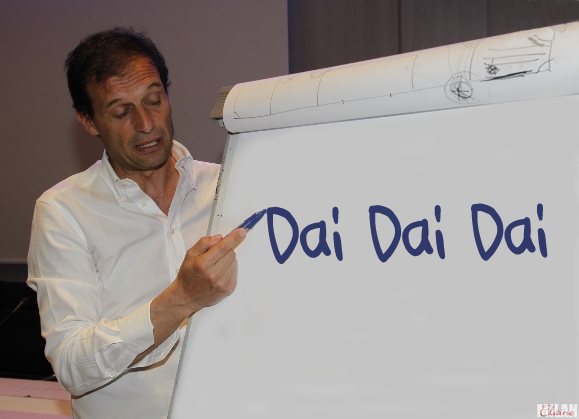 Allegri is less popular than ever, but I don’t envy his job on this one. His squad selection will be like hitting a store the day after Black Friday and trying to find anything at all worth buying. Add the fact that Tagliavento I can only hope that what we lack in availability we more than make up for in heart and in focus. Three points away at this point in our nosedive season would be massive for morale worldwide. Given the positives we saw vs. Napoli, I have a bit of hope, something that is in increasingly short supply these days for Milan fans. Maybe they’ll take us up on our offer and let the players see how hard it can be to live up to expectations. Milan: Now Recruiting. Forza Milan!